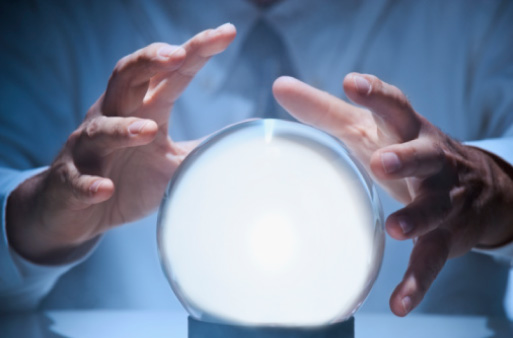 There is some global concern about the future of Geomatics, not from the point of view of the discipline itself (given that the projections of the geospatial sector are increasingly auspicious), but from the point of view of a possible lack of suitable technicians and/or professionals in the matter . Some analysis holds that education is the key . 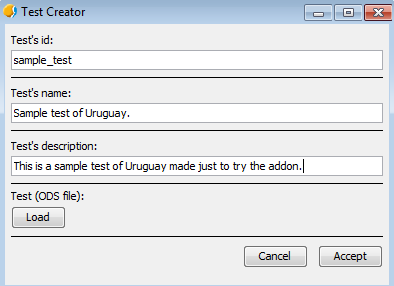 In this sense, Uruguay has the initiative gvSIG Batoví , and there have been specific experiences of using gvSIG in education in other countries such as Paraguay and Spain . This time, in the framework of gvSIG Batoví, it was raised the idea to develop two add-ons during the 2016 edition of Google Summer of Code . The first one; that allows creating and performing tests, the second one; that allows creating and playing educational games, with the aim of being used in the educative scope. 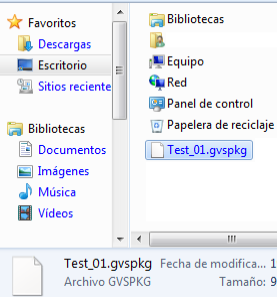 Currently the project is in english (according to GSoC requirements), but will soon be published in Spanish. 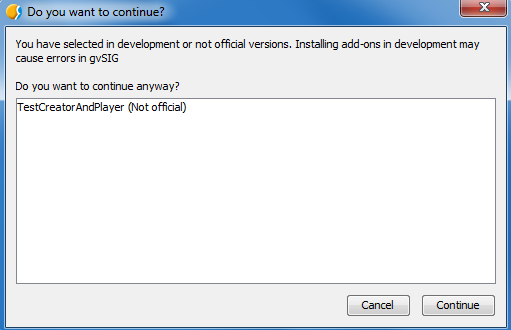 How the add-on is installed? 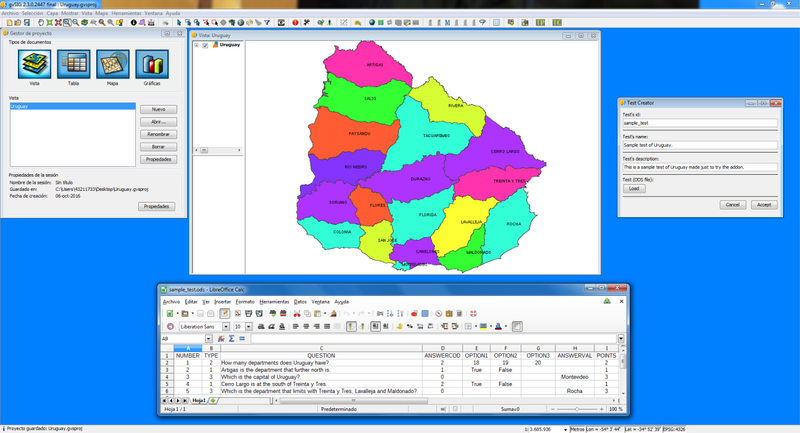 The installation is done through the gvSIG add-ons manager. 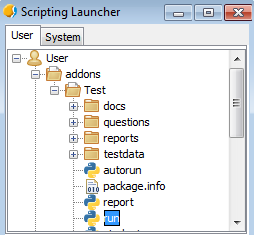 The execution is done through the scripting launcher of gvSIG. 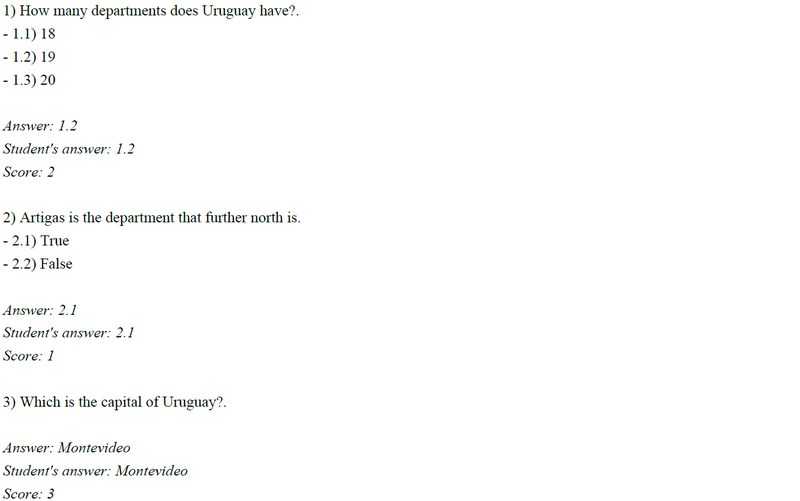 Each test can contain or not: multiple choice (3 options), true or false, and short answer (1 word) questions. 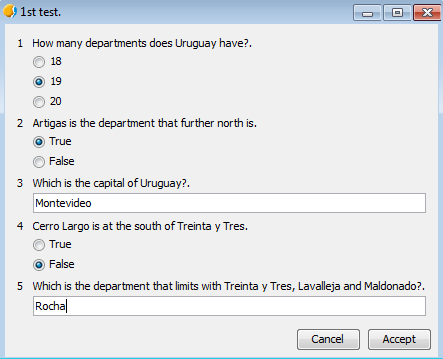 The test is created from a prototype in ODS format, which must be edited according to the rules outlined in the user manual, and may include or not the correct answers and the scores corresponding to each question. 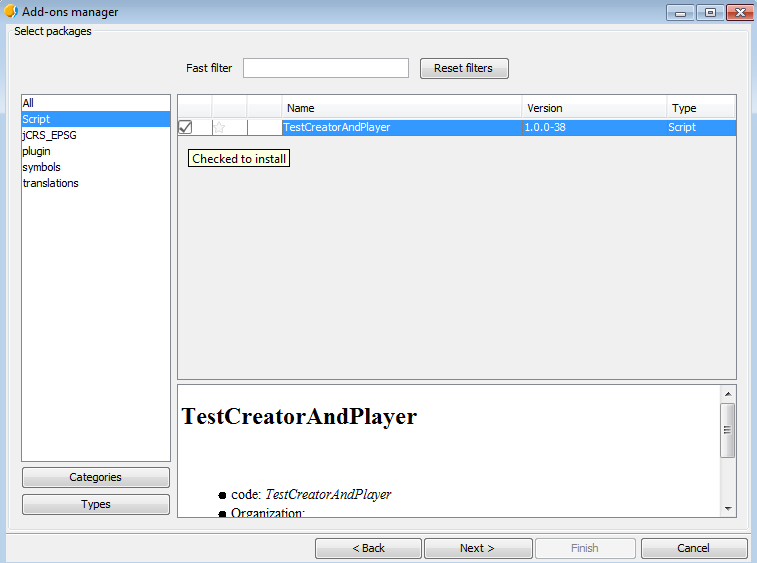 Identification, name, and description of the test must be entered. 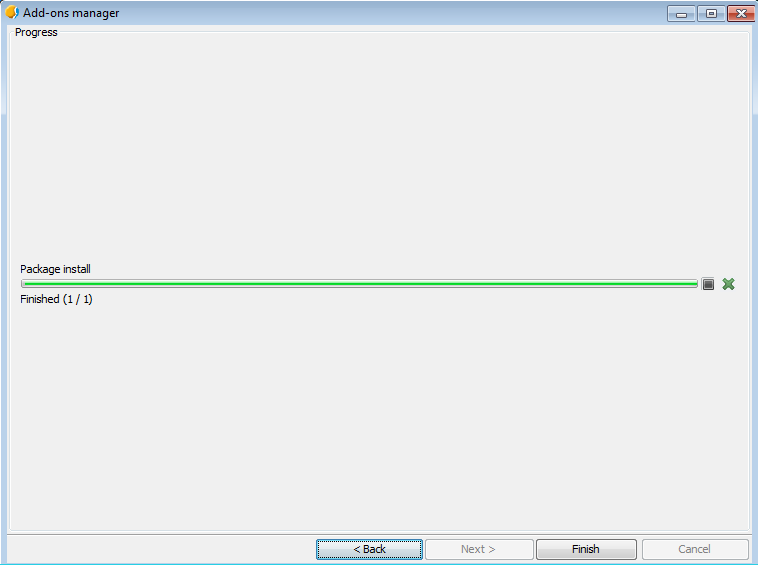 The ODS file of the test must be loaded. 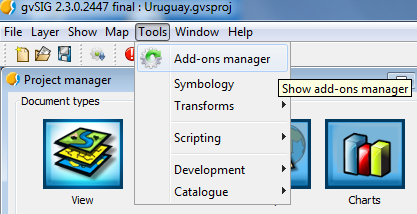 The addon works above gvSIG, so it is possible to fully exploit its potential. The view could be used dynamically, applying all the available tools (zoom in, zoom out, selection, attribute table, etc.). 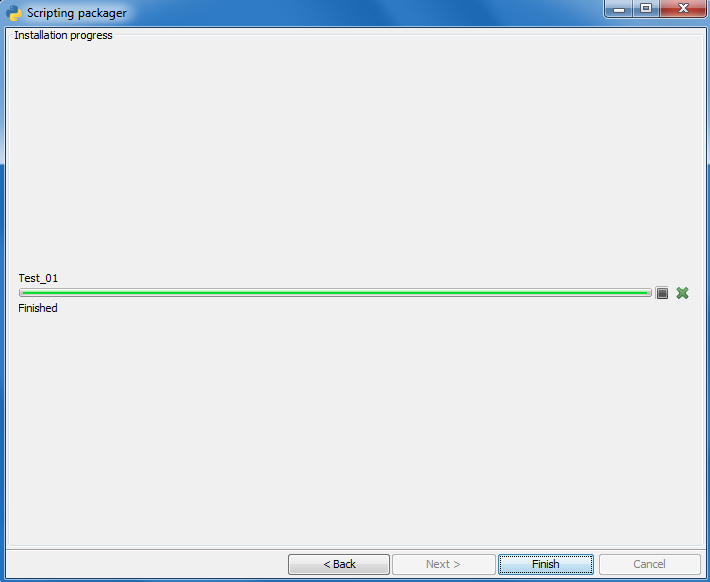 The test is packed through the scripting composer of gvSIG. Finally the test is shared (e.g. 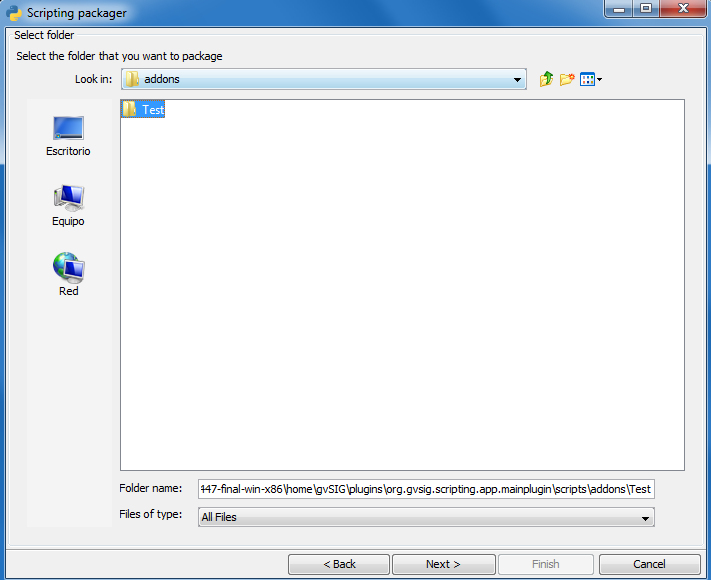 : Test_01.gvspkg). 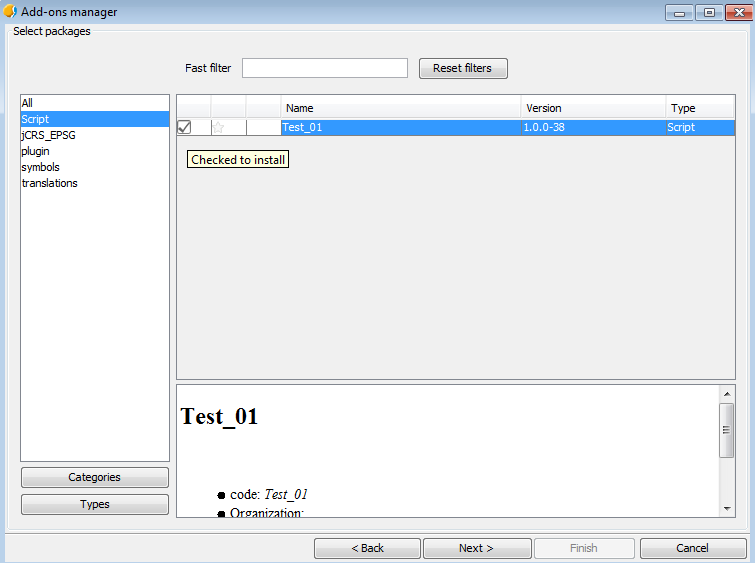 The test is unpacked (e.g. 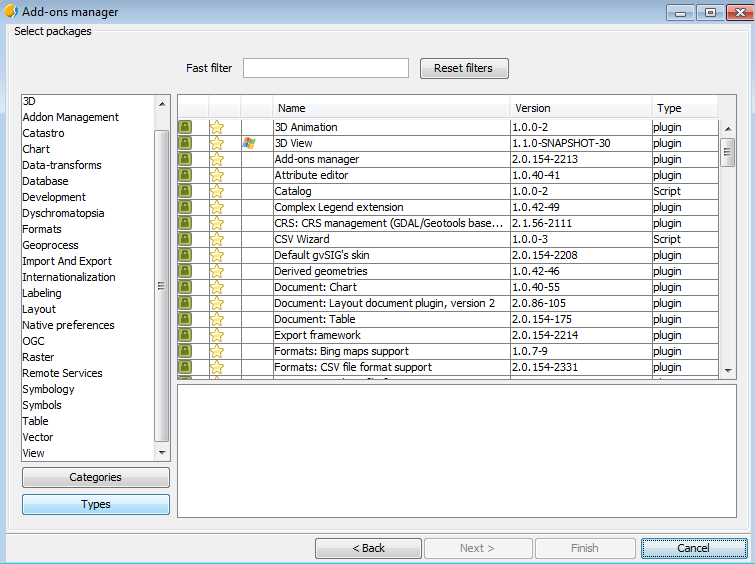 : Test_01.gvspkg) through the add-ons manager of gvSIG. Name must be entered before beginning. 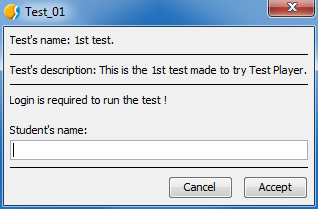 Then it is possible to perform the test. Again, the view can be used dynamically, applying all the available tools (zoom in, zoom out, selection, attribute table, etc.). Finally, after the test is done, a report is generated in PDF format containing the questions and the answers selected and/or entered. 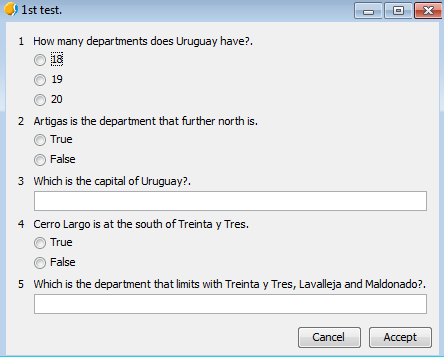 An automatic correction is performed or not, depending on whether or not the correct answers and the scores corresponding to each question were entered at the creation stage of the test. 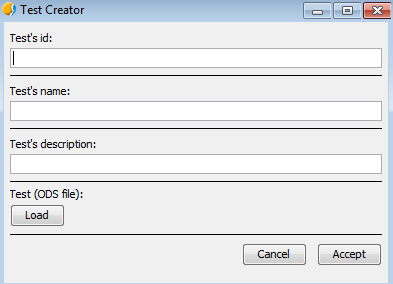 Test information is displayed: name, description, student, date, time, and attempts. 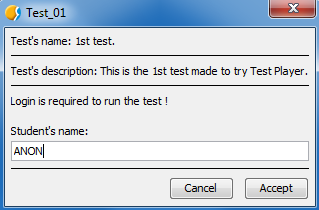 Test performed is shown: question, options, correct option, selected option and partial score. 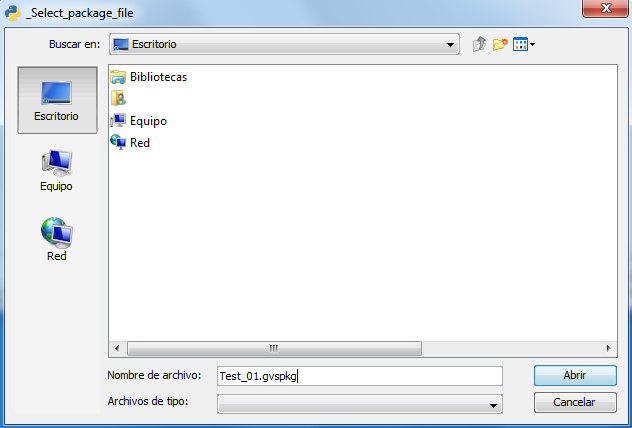 In this way, you can create customized tests according to the pedagogical activity that is being carried out, and have an attractive interface that motivates the accomplishment of the tasks presented. It should be noted the simplicity in the use of the add-on, and the emphasis on the fact that the level of complexity is determined by the type of questions entered at the creation stage of the test, which gives the add-on a great versatility. 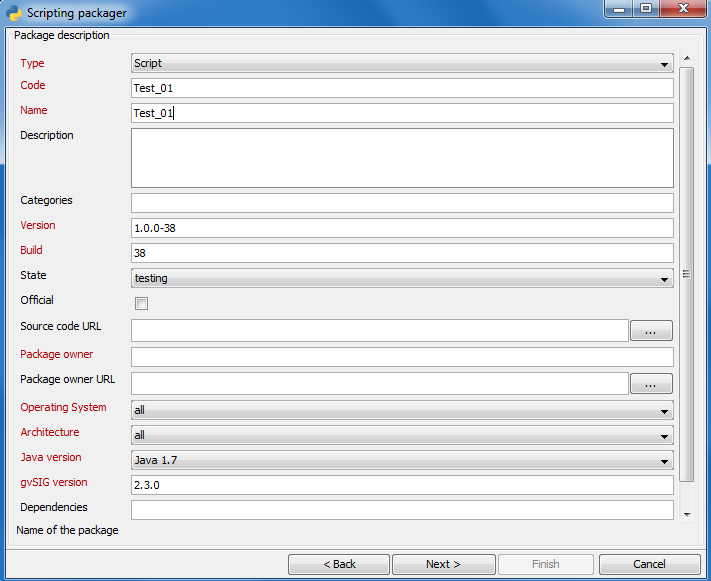 The add-on, user manuals and more are available in the GitHub repository . 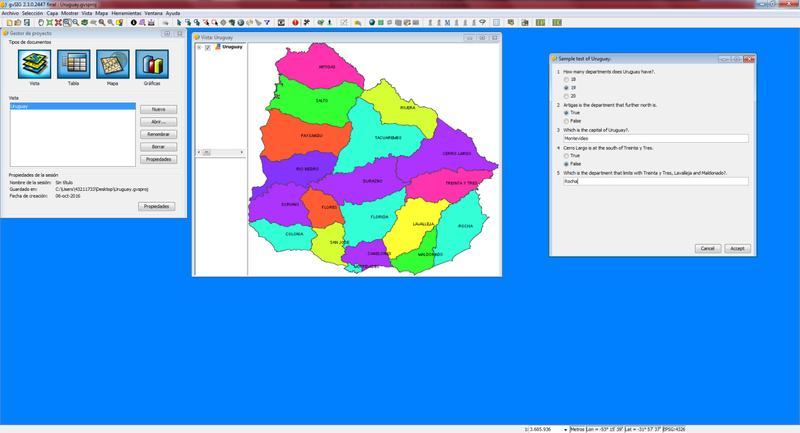 This entry was posted in development, english, gvSIG Desktop, gvSIG development, scripting. Bookmark the permalink. Great! I will test it and see how it works! Thank you!